GameStop shares dropped by more than eight percent today following Sony's announcement of the PlayStation Now streaming service. Announced today at CES and set to launch this summer, PlayStation Now is a streaming service that will allow customers to play older games on newer hardware, including tablets, mobile phones and of course PS3 and PS4 consoles. With a selection of titles going all the way back to the original PlayStation, it's effectively a way of incorporating backward-compatibility into new hardware without having to actually build it in, at least for customers who have the pipe to handle it. But what's good for the PlayStation-owning goose isn't necessarily good for the retail gander, as GameStop's share price took a rather precipitous drop in the wake of the announcement. After opening at $48.45 today, GameStop Corp. dropped to a low of $43.60 by mid-afternoon and is currently sitting at just over $44, a loss of more than eight percent of its overall value. 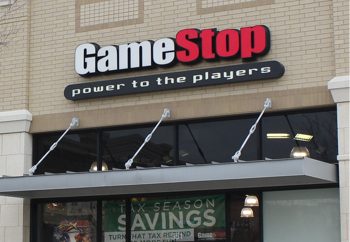 Analyst David Schick of the investment firm Stifel downgraded GameStop from "buy" to "hold," noting that its "prospects for software sales are incrementally worsened" by PlayStation Now. Sony has not yet announced any pricing details and questions about how its infrastructure will hold up under the strain of heavy game streaming remain unanswered, but in the long term, this is the future: The slow death of mainstream videogame retailers by a thousand digital cuts.